The Olympus TG-4 is a shockproof and freeze-resistant camera that will capture beautiful images in extreme environmental conditions. It works underwater, and can snap pictures in RAW with a wide-angle lens. See our full review. Samsung’s Galaxy Tab Active 8.0 is a rugged water and dust resistant tablet that can survive in rough-and-tumble workplaces. Enjoy the vibrant colors and ultra-high resolution of Samsung’s flagship line of portable electronic secured in a MIL STD 810G rated anti-shock case. See our full review. 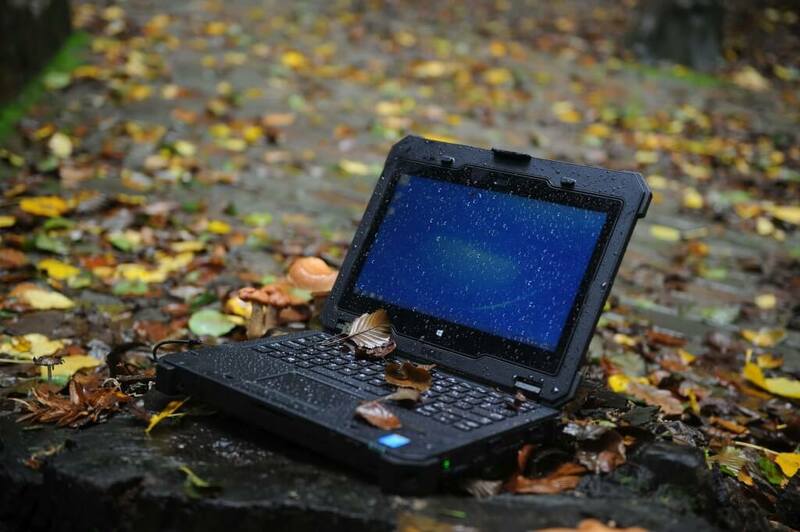 The Toughbook 31 combines military quality drop-shock protection and best-in-class performance to create the world’s best ruggedized Windows notebook. A full magnesium alloy case safe-guards a powerful touch-screen notebook from hazardous environmental conditions and accidental drops and blows. See our full review. Frequent phone droppers rejoice — Motorola has created the world’s first truly shatterproof smartphone, the Droid Turbo 2. An innovative five layer plastic AMOLED screen and aluminum chassis keep the Droid Turbo functioning even after drops of over 900 feet. See our full review. Audiophiles in search of a portable audio player with high-fidelity sound and durable construction need to check out the Cowon Plenue 1. This tough device forgoes cheap plastics for a diamond-cut aluminum chassis. The solid-metal frame makes this MP3 player the toughest in the field, and a Burr-Brown DAC gifts the discerning listener with great sound quality and diverse file support. See our full review. Listen to music with the peace-of-mind that your headphones can survive the use and abuse of daily transit. The V-MODA XS offer hi-fi sound in a solidly constructed shell. It has a steel frame, detachable cloth braided cords and a headband that bends but doesn’t break. See our full review. Keep your portable electronics fully charged in harsh environments with this dustproof and waterproof external battery by Unifun. The lithium-polymer battery is water-resistant and protected by a hard plastic case and shock-absorbing rubber edges. Plastic cover seals the Unifun’s two micro-USB charging ports from water. See our full review. Transport your files in aircraft-grade aluminum with the Survivor Stealth USB 3.0, a military-style data transport that can endure extreme environments. An EPDM waterproof seal keeps water out and a molded shock damping collar protects this USB drive from drops and crushing. See our full review. Edit HD video and store your files on the U32 Shadow, a compact Solid State Drive housed in a stylish and durable aluminum case. Store up to 256 GB of files and run them through USB 3.0 at a speed of up to 400 MB/s. See our full review. Discover the joy of typing on this luxurious Japanese keyboard, the Topre Type Heaven. The solid, heavy design features electrostatic capacitive key switches at an affordable price point. The Topre Type Heaven will win over any typist with its satisfying tactile feedback and silent stroke. See our full review. 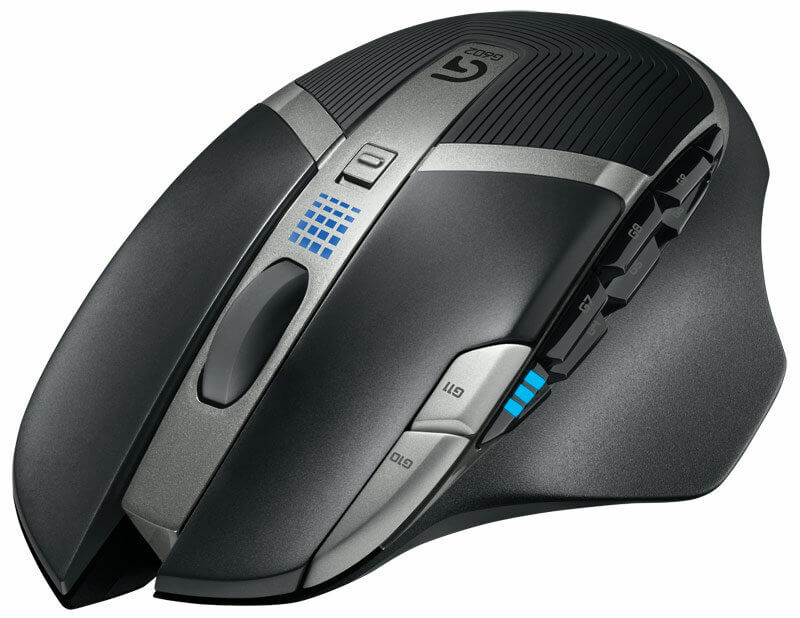 Get over 20 million clicks with the G602, a wireless mouse with 11 programmable buttons and a crazy long battery life. The G602 is outfitted with mechanical switches to increase lifespan and uses Delta Zero Sensor Technology for ultra-accurate cursor control. See our full review. The brightest and strongest ultra-compact flashlight is the SureFire Titan Plus. This flashlight that shines with 300 lumens at its highest setting — more than enough light to illuminate a forest trail. A nickel-plated brass body gives rugged protection that brushes off scratches and prevents corrosion. See our full review.